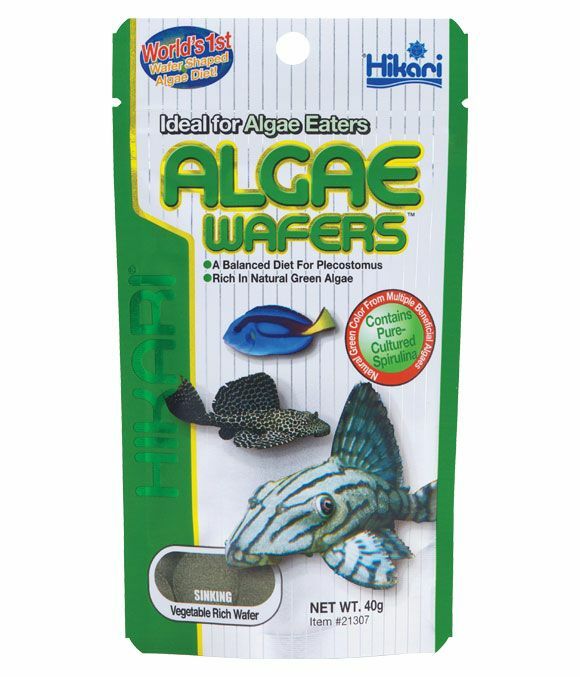 Hikari Tropical Algae Wafers are a complete and balanced scientific diet for Plecostomus and other algae eating fish, including marine herbivores. It contains a perfect balance of ingredients which is rich in green algae which helps to promote natural colouring. There are currently no questions for Hikari Tropical Algae Wafers Fish Food - be the first to ask one!